I’d like to start this post by making it clear that I am not describing myself in the title, but the newly rolled out Library Specialist edTPA requirement that school media specialist candidates seeking New York State certification pass an unexpected, poorly prepared, and unproven assessment to receive certification. The edTPA assessment is required in addition to the Theory, Skills, and Content Area exams, as well as the hours of graduate school learning and practical classroom experience already required of candidates. The edTPA assessment for Library Specialists rolled out in August 2013, just as my last formal classes were beginning (I am currently doing my practicum). Candidates like myself who are seeking New York Library Specialist Certification will pay $300 to submit a packet of lesson plans, commentary, and evidence (textual, visual, and audio/video) that will be reviewed and scored by someone. Yes, “someone.” At this writing, the Library Specialist edTPA has not been pilot tested, and it is unclear who will score the work of new library professionals like me. Library learning and lessons are similar in many ways to classroom learning and lessons, but there are significant differences between the library learning environment and a classroom. Will the person scoring my edTPA assessment know that? The requirements for the video evidence in this assessment are overly detailed and proscriptive–they would be laughable if I weren’t trying to figure out how to successfully complete them. Candidates are being asked to present two, unedited 10-minute videos in which they demonstrate the achievement of broad learning goals that are unrealistic for a ten-minute learning segment. The time and effort I am putting into planning lessons that will make good videos is uncomfortably akin to “teaching to the test,” which I hope all educators know is not an effective learning strategy. While I do have confidence that my professors, field work mentors, practicum mentors, and my professional experience has prepared me to pass this assessment, I do not understand why three years of graduate school (during which I consistently turned in exemplary work), 100 hours of fieldwork (for which I received glowing feedback), 240 hours of practicum experience (during which I am receiving similarly glowing feedback), a content exam, a theory exam, a skills exam, health & safety training, and a number of successful years in the field of education are not sufficient for the state of New York to deem me suitable for a school media specialist certification. All of that is not enough–unless I also complete and pass an unpiloted and untested assessment that rolled out in August of 2013. The edTPA assessment seems hastily put together. There is no model of best practice available for this assessment, there has been no pilot testing of this assessment as an effective tool to predict school media specialist success in the field, and it is unclear who will score the library specialists assessment. 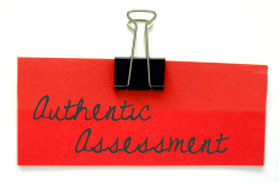 Simply put–there has not been a valid assessment of this assessment as a tool that will demonstrate whether I will succeed as a school media specialist. If you are an educator, librarian, and/or parent in New York State, please consider supporting efforts to delay or rescind the edTPA as a method of assessing school media specialists’ preparedness by reviewing the concerns of librarians and library candidates across New York State and by signing the petition to indefinitely suspend the implementation of the edTPA. March 28th Edit: Thank you to classmate Lucy Menard for sharing the following article and audio clip of WAMC Northeast Public Radio’s UUP Calls for Suspension of edTPA Certification Mandates, which presents a brief view into both sides of this issue.